Lots of people have superstitions. Black cats and sidewalk cracks don’t bother me, but I always knock on wood. I can’t help it, it’s something I’ve done for as long as I can remember. I don’t even remember how it got started, or when. I only know that I have to do it. It’s almost pathological! Athletes, performers and musicians often have some ritual that they follow, or some lucky garment or charm that they wear or carry. I don’t believe in luck. Luck, to me, implies something randomly working out well. I don’t believe in random, either. I believe in preparation, blessing and confidence. That being said, I have a musician superstition of my own, a set of confidence charms that I wear for every concert, solo, audition, interview or any other occasion (musical or otherwise) when I feel like I need a little extra confidence. The collection has grown over the years. 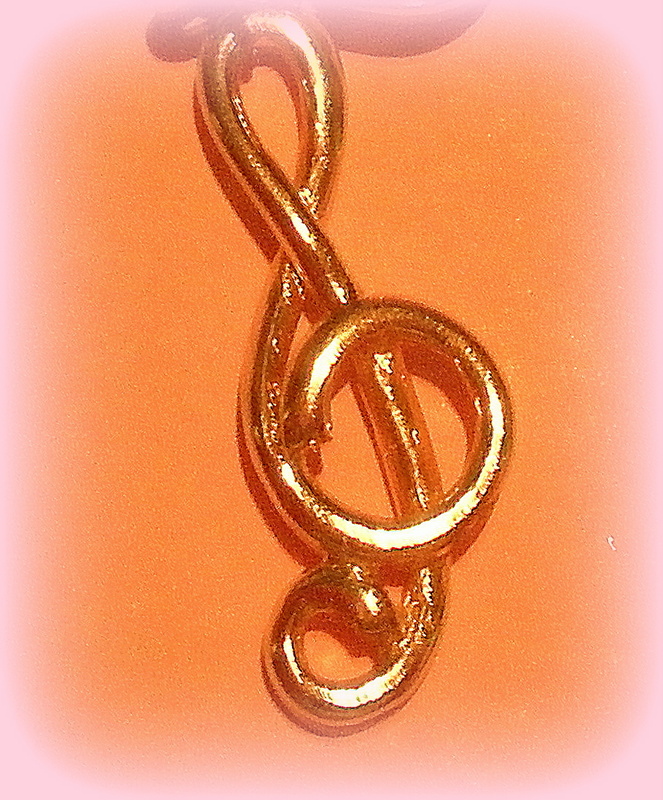 When I was a teenager, my only charm was a simple, small gold treble clef that my parents had given me for Christmas or a birthday. I wore this pendant for every musical event that was important to me, from wedding solos to All-State Chorus auditions and performances, to my college choir tours and voice recitals. 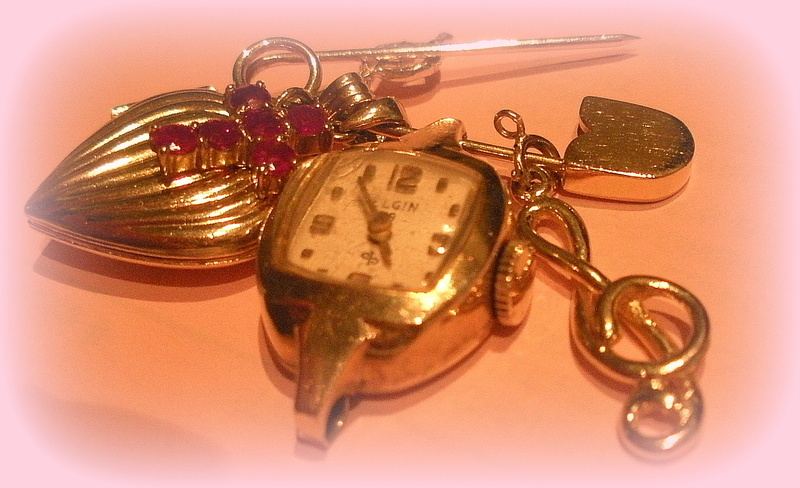 I gave this charm to my friend Kathryn as she was graduating from college the year after I did. I found a replacement treble clef shortly after that and began wearing it, but it didn’t look like the original. 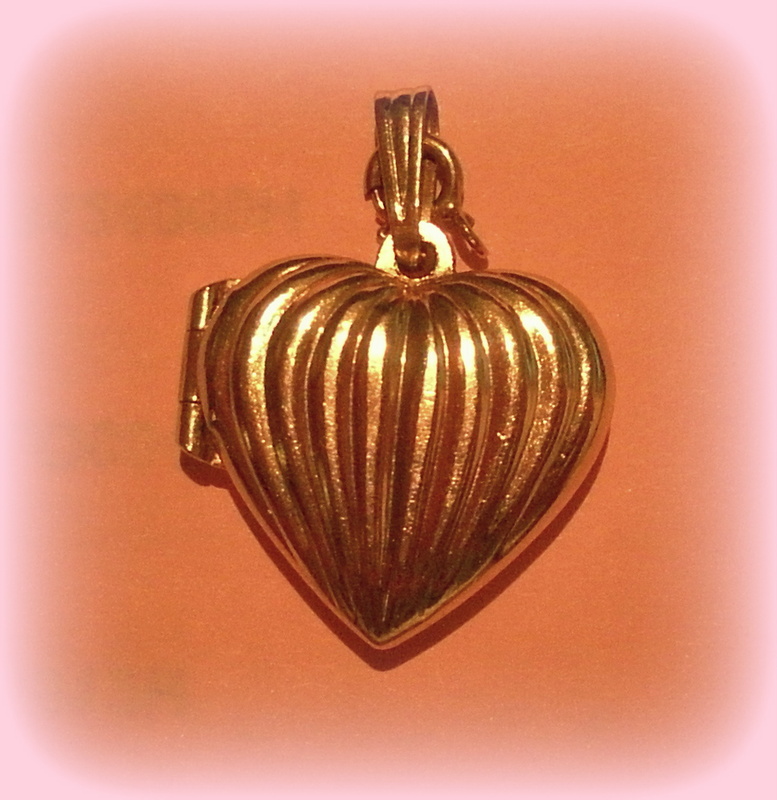 At some point I added the gold heart locket that my sweet husband, Jeff, had surprised me with for Christmas one year. On one side it contains a photo of him on our wedding day. The other side has a picture of our first dog, Ernie The Wonder Beagle. 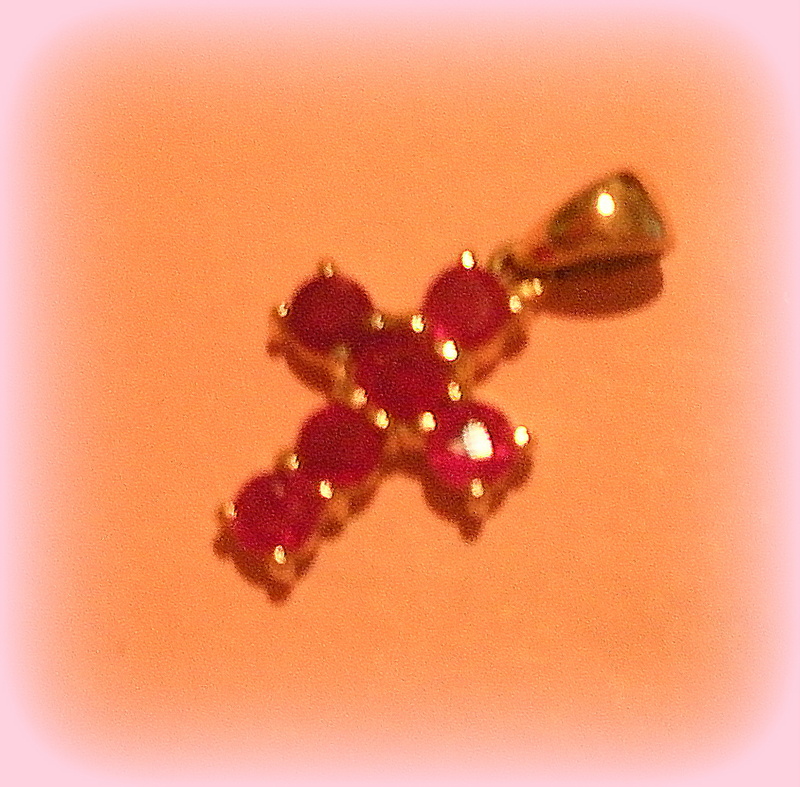 After Mama died, I purchased a tiny gold and ruby cross pendant. Ruby was her birthstone and I wanted something in ruby to honor her. I began wearing the cross with the locket and the treble clef, sometimes on a necklace, sometimes on a bracelet. 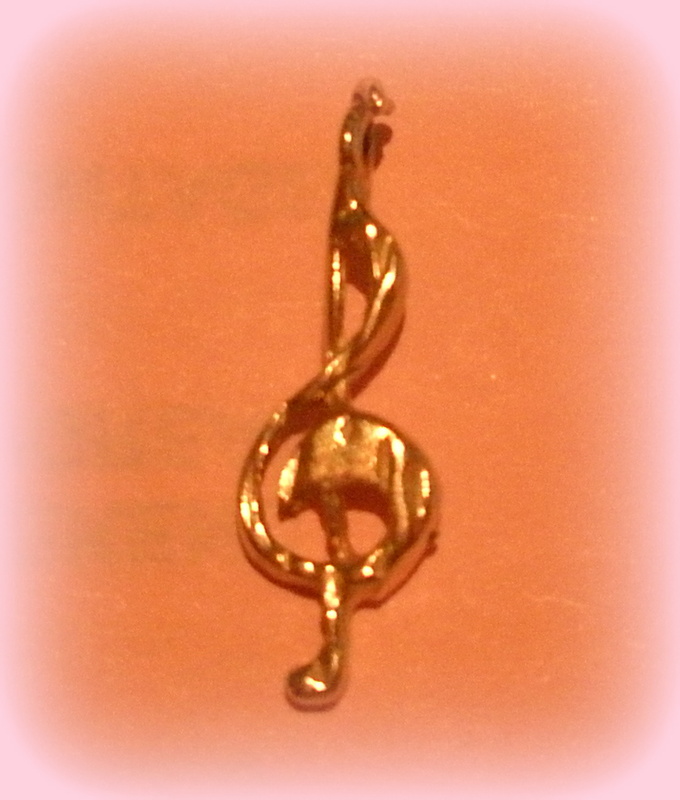 Later on I found another treble clef charm that looks more like my original one, so I added it to the collection. 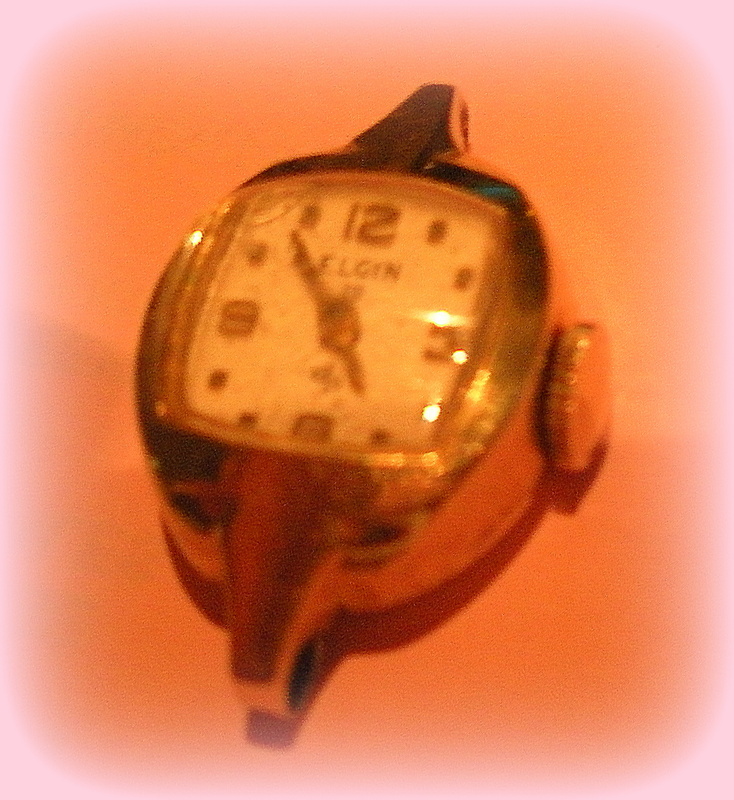 The most recent addition is a tiny broken watch, and the story that goes along with it. Mama was notorious for over-winding watches, and her old jewelry box contained several little ones from the 1950’s that no longer worked for her over-zealous winding habits. I added one of them to my collection of confidence charms while I was doing a ministry class in a hospital last year, as a reminder that the present moment is all we have. I wore my charms every night I was on call at the hospital because I never knew what a given night would hold and I definitely needed confidence. Countless times I touched those charms as I prayed for a patient, a family member…for wisdom and compassion as I tried to minister to them. The charms are currently on a gold charm holder pin, which has been their configuration for a while now. I also have a charm holder pendant that I can wear on a necklace and will probably alternate between the pin and the necklace. Some people might think my confidence charms are silly. I will just say that they are sentimental. Each one has a special meaning and history. They are beautiful to look at and soothing to touch. When I have a special occasion or a challenging day, wearing them makes me feel more peaceful. Someday, along with the rest of my belongings, the charms will be passed down to someone I love, and I hope they give that person the same sense of peace and calm that I wear them for. And I hope that person will feel the love that is passed down with them.